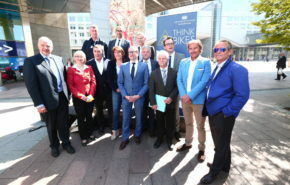 FIA Region I staged a major showcase of autonomous driving vehicles within the framework of the EUCAD 2019 conference, held on 2 and 3 April by the European Commission with the support of the ARCADE project. This was the occasion to present to the public the work of two EU Projects backed by FIA Region I, AUTOPILOT and L3Pilot. The European research project AUTOPILOT run a Toyota Prius showing the AUTOPILOT VRU detection, warning system and perception technology developed within the project. 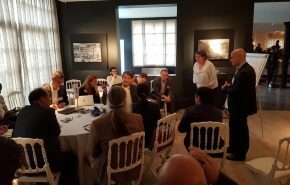 It presented different use cases, the work going on in its six pilot sites, as well as the Internet of Things platforms developed within the project. The European research project L3Pilot exhibited prototype automated and autonomous vehicles including the Volkswagen L3Pilot eGolf, the Volkswagen AdaptIVe Audi, the Volkswagen Sedric, as well as the autonomously driving L3Pilot Toyota Lexus and Renault Espace. L3Pilot tests the viability of automated driving as a safe and efficient means of transportation on public roads. University Racing Eindhoven presented its Formula Student race car, featuring a top speed of 130 km/h and an acceleration 0-100 km/h in 2.3 seconds. The speed at which the car is processing data and making its choices on what to do next, and the technology behind that, can be very valuable for future research. The European research project AVENUE run an autonomous, driverless and electric vehicle developed by NAVYA to serve cities and private sites. Tallinn University of Technology (Taltech) presented a small model of the self-driving last mile vehicle ISEAUTO, which drives autonomously using cameras and lidars. The European research project ADAS&Me demonstrated adaptive HMI for car and motorcycle applications, the wearable HMI elements of the rider (helmet with visual, haptic and acoustic HMI, gloves with haptic HMI), and the rider monitoring wearables (jacket, helmet, gloves). By clicking ok, you agree to receive the monthly newsletter from FIA Region I, you may also be contacted about events, news and other related information.